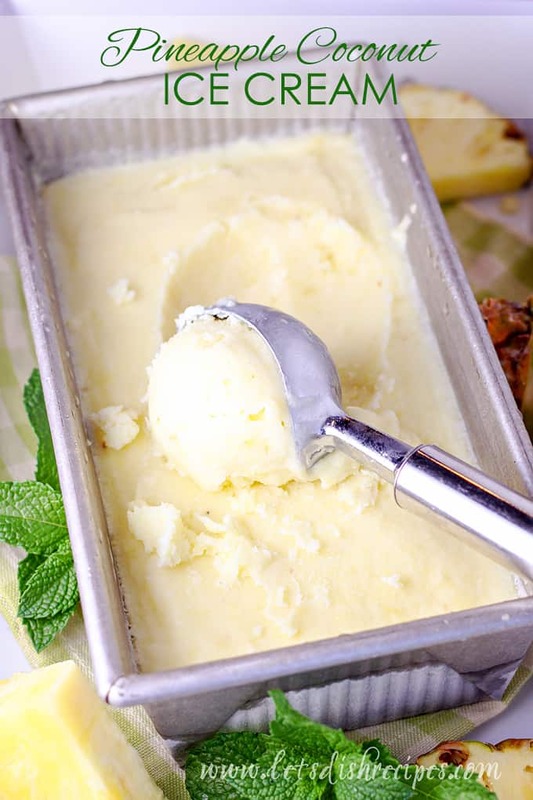 PINEAPPLE COCONUT ICE CREAM — Coconut milk and fresh pineapple come together with a hint of lime in this creamy, cool dessert that is perfect for summer! If you’re looking for a delicious, refreshing way to cool off this summer, look no further than this Pineapple Coconut Ice Cream. This fruity frozen treat has summer written all over it! The flavors are reminiscent of a Pina Colada (minus the rum) and I actually considered calling it Pina Colada Ice Cream. Or sherbet. Or sorbet. I honestly had a hard time deciding what to call this dessert. Since it’s made with coconut milk instead of traditional dairy, it’s technically not ice cream. But at the end of the day, it doesn’t really matter what you call it. It’s amazing! Speaking of coconut milk, this is definitely one time where you don’t want to skimp on calories. 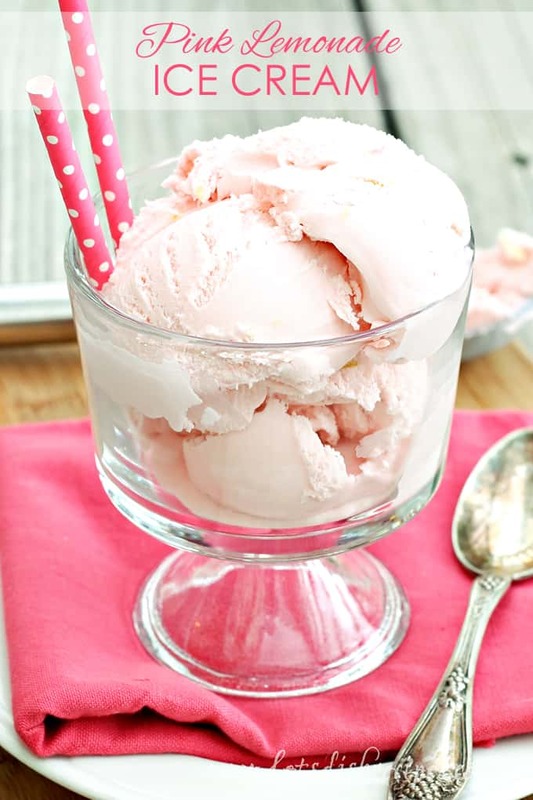 Your ice cream will be much creamier, and just turn out better in general, if you use full fat coconut milk. For an even creamier ice cream, you could always use half coconut milk, half cream. Or add some cream to the existing recipes. As is, this dessert is a great option for a dairy free diet. And I definitely recommend using fresh pineapple in this recipe if possible. 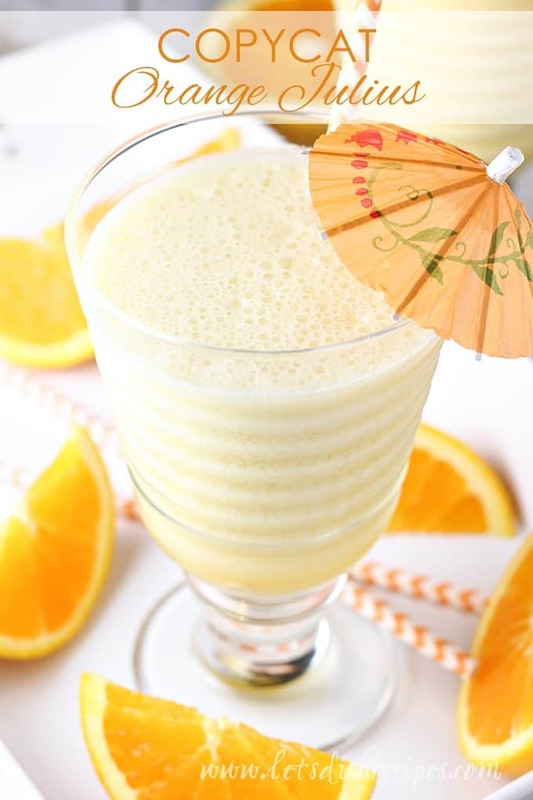 Everything is well-blended before freezing, so you end up with just a hint of texture, and loads of fresh pineapple flavor. 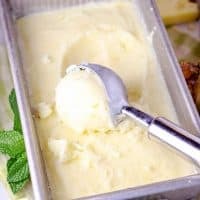 I use a Cuisinart Ice Cream maker for this recipe (and I highly recommend it), but this recipe should work fine in any ice cream maker–just follow the manufacturer’s instructions for freezing. I find my ice cream always freezes better if I chill the mixture for several hours before adding it to my ice cream maker. Sometimes I get so excited about making ice cream that I skip this step, and I usually regret it. Making homemade ice cream is one of my family’s favorite things to do during the hot summer months, and this tropical ice cream is a new family favorite. If your looking for a tasty way to cool off during those hot summer days, you’re going to want to make this Pineapple Coconut Ice Cream as soon as possible! Enjoy! 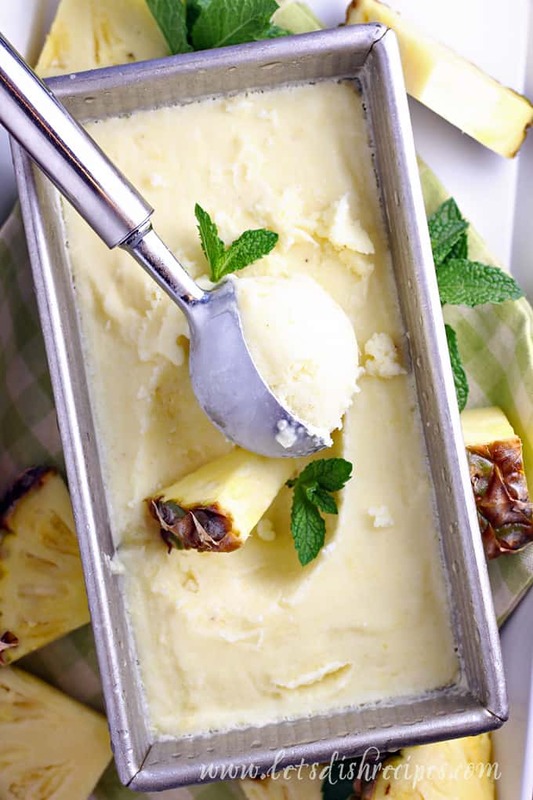 Be sure to save this Pineapple Coconut Ice Cream recipe to your favorite Pinterest board for later. 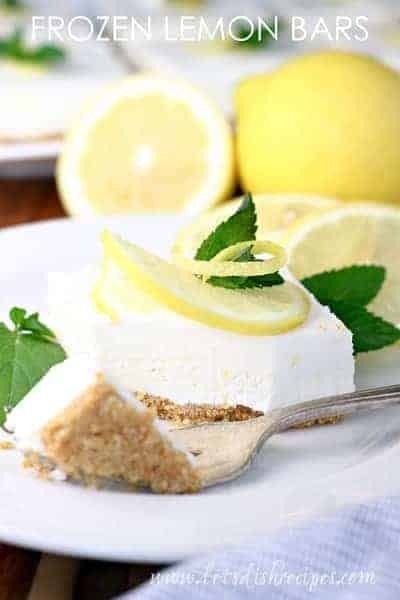 Coconut milk and fresh pineapple come together with a hint of lime in this creamy, cool dessert that is perfect for summer! Place all ingredients in a blender and process until smooth. Refrigerate mixture until very cold, at least 3 hours. Remove from refrigerator and whisk mixture to blend. Pour into ice cream maker and freeze according to manufacturer's instructions. My family, who is not a fan of coconut in general, love this! It’s so good and fresh. I don’t have an ice cream maker, so I make it by hand, but the taste is gorgeous and delicious. Thank you!.